Please give a brief introduction of Crystal Crop. The company’s business is segregated into agrochemicals, seeds and agri-equipment businesses. 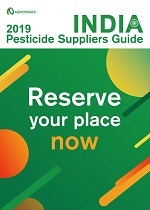 Its agrochemicals business is further segregated into brands, institutional and exports markets. The company has integrated operations, from undertaking R&D of new molecules to manufacturing and delivering products/solutions to farmers through its extensive network of distribution partners, assisting farmers to maximize productivity and profitability. Crystal is among the leading agrochemical companies from India, what are your core strength areas? The company has a pan-India sales and distribution presence with a dedicated sales force that provides customer service and undertakes product promotion. As of December 31, 2017, the distribution network comprised approximately 7,000 independent distribution partners across the primary agricultural markets in India. 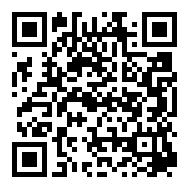 Additionally, the company has developed an in-house mobile application called “MINE” that facilitates new distribution partners, gauges stock availability, accesses customer accounts, tracks customer orders, and monitors order receipts and the online transmission of invoices. As of December 31, 2017, the company along with its subsidiaries and partnership firm had 31 insecticide brands, 23 fungicide brands, 20 herbicide brands, 27 bio-stimulants and Plant Growth Regulators (PGR), and other brands. 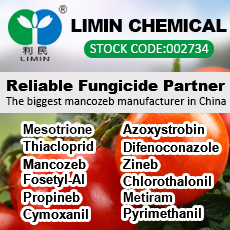 Some of the company’s key brands include “Missile” and “Abacin” for insecticides, “Bavistin” and “Kyoto” for fungicides, “Clinton” and “Topper-77” for herbicides, and “Nutrozen” for bio-stimulants. The company’s Key Research & Development Center (KRDC) is dedicated to developing quality crop protection products that focus on improving the productivity and profitability of Indian farmers. The R&D team comprises 31 employees with specializations in biology, formulation chemistry, analytical chemistry and chemical synthesis. The company has filed applications for 18 patents, out of which three products have already been commercialized and two will be commercialized shortly. As of December 31, 2017, the company had 131 registrations under Section 9(3) of the Insecticides Act and 257 registrations under Section 9(4) of the Insecticides Act. The company also has 37 applications for registration under Section 9(3) of the Insecticides Act and two applications for registration under Section 9(4) of the Insecticides Act pending. 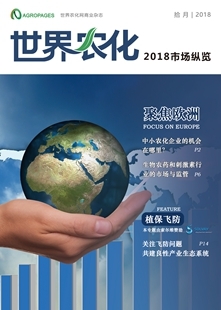 During the nine months ending December 31, 2017, the company had relationships with approximately 70 vendors across China, Hong Kong, Taiwan, the United States and Canada, of which the company had business relations with seven suppliers for more than 10 years and has worked with 15 suppliers for between five and 10 years. You have acquired Solvay's Cytec, India’s manufacturing plant. How do you place this acquisition in your overall strategy? Such an acquisition will augment the manufacturing capabilities of the company to produce domestic grade agrochemicals. Earlier this year, Crystal acquired Syngenta’s pearl millet and sorghum seeds business and cooperated with KeyGene on seed traits. Is it a strategic inclination to the seeds business? With the acquisition of seeds from Syngenta, we will strengthen our seeds portfolio. This acquisition will enhance Crystal’s penetration in the Indian grain sorghum, pearl millet and fodder seeds business in India. 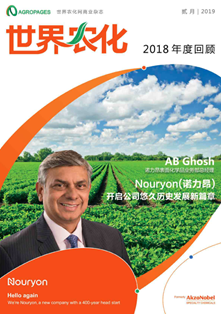 KeyGene N.V. (“KeyGene”) is one of the global leaders in crop innovation and we are excited to explore models in which we can leverage our expertise, and KeyGene’s next generation technologies and trait innovation platforms to develop tolerant and more resilient crops for the Indian market. The effort will be to develop products through the sharing of technology and novel breeding techniques that benefit the farmers to increase their farm profitability. After the acquisition of Cytec and Syngenta, Crystal is at the center of M&A. What future plans have you set for yourself in terms of inorganic growth? Post Cytec and Syngenta, recently, we have strengthened our insecticide & herbicide portfolio by acquiring the Furadan, Splendour, Metcil and Affinity Force brands from FMC India. The company is evaluating, and intends to continue to evaluate acquisition and merger opportunities with companies offering complementary businesses, technologies or brands, as they arise. 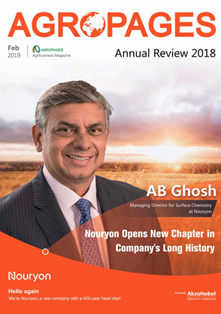 The company’s inorganic growth oppor tunities could include mergers and acquisitions targets, acquisition of brands or acquiring manufacturing facilities from other chemical companies or acquiring other businesses related to its seeds, or agri-equipment business, domestically or in export markets. The company believes that pursuing selective acquisitions, partnerships, or alliances would improve its competitiveness, further diversifying its product portfolio and strengthening its market position. Increasingly, it seems that Crystal is more focused on inhouse R&D capabilities. Tell us about your R&D facility KRDC and also your future projects in the pipeline. The company established its in-house R&D center, KRDC, in Sonepat, Haryana, which has also been recognized by the Department of Scientific and Industrial Research, Ministry of Science and Technology, GoI. KRDC is dedicated to developing quality crop protection products that focus on improving the productivity and profitability of Indian farmers. 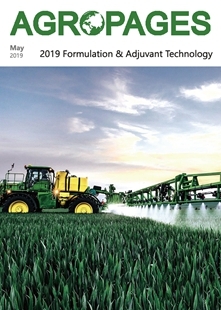 Through its R&D capabilities, the company has launched products such as “ACM- 9 WP”, a selective wheat herbicide for resistant Phalaris sp; “Snapper”, an insecticide combination for controlling pests in rice; “Apex-50”, an insecticide combination for difficult-to-control pests; “Azotrix”, a combination fungicide for disease control in rice; “Jinja”, a safe bio-stimulant for vegetables; and “Crystorhiza”, a soil-applied bio vitalizer. The company intends to continue to invest in its R&D facility to produce more successful products and diversify its business from being principally an off-patent generics manufacturer to developing its own innovative products. 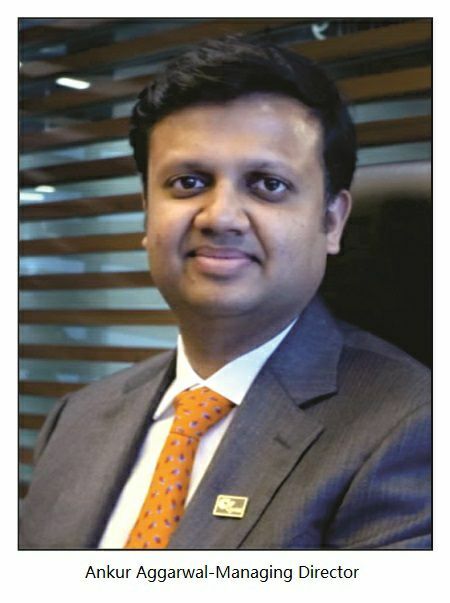 Crystal launches many new products every year, what is crystal’s strategy to build its brand in the Indian market? The newly-launched products intend to enhance the company’s brand value as an established agrochemical company that believes in bringing innovative solutions to farmers. The focus is on new products developed by our R&D. The company also identifies generic products that have a significant volume in the market and evaluates options to introduce them into the market. How is your IPO process and would you like to tell us something about your timetable/plan? The company recently got an approval on the Draft Red Herring Prospectus (DRHP) from the Securities and Exchange Board of India (SEBI). After China, India is the second biggest export market in agrochemicals. What are your focused markets and future plans for exports? The company exports technic als and for mulations internationally. During the nine months ending December 31, 2017, the company exported its products to approximately 50 customers across 18 countries. We see good potential to increase our exports due to our strength to supply high quality & cost-effective products. We have focused on increasing a number of product registrations in developed countries, including Europe and other parts of the world, as sales in these markets generally have high margins. As of December 31, 2017, we had 48 international registrations and we intend to continue to commit resources to increase the number of registrations to offer a wider range of products in new markets. 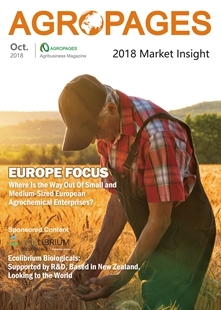 Manufacturers in the crop protection industry benefit not just from having a diverse product portfolio but also from geographical diversification through exposure to export markets. Moreover, exports provide a natural hedge to manufacturers that have a significant share of imported raw materials, reducing the net exposure that manufacturers might have and the risk arising from adverse movements in exchange rates. With dynamic changes in the Chinese agrochemical industry in recent times, how do you see the situation? We expect the Chinese agrochemical industry to continue to be unpredictable. Our strong relationship with large and reputed manufacturers will strengthen our position in this volatile market. 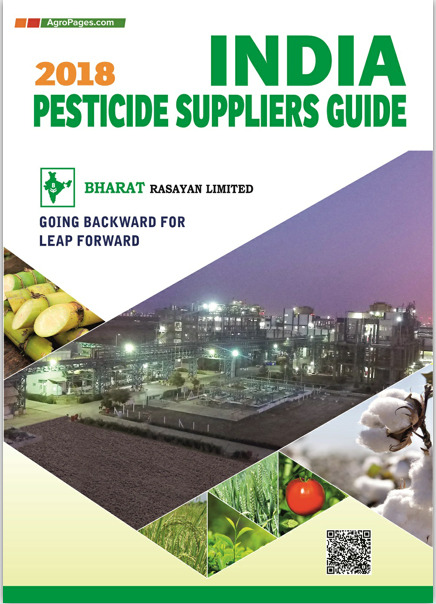 Disclaimer: “Crystal Crop Protection Limited is proposing, subject to receipt of requisite approvals, market conditions and other considerations, to make an initial public offering of its equity shares and has filed a Draft Red Herring Prospectus (DRHP) with the Securities and Exchange Board of India (SEBI). The DRHP is available on the website of the SEBI at www.sebi. gov.in and the respective websites of the Global Book Running Lead Managers at www.icicisecurities.com, www.axiscapital. co.in,www.hsbc.co.in/1/2/corporate/equitiesglobalinvestmentban king, www.nomuraholdings.com/company/group/asia/india/index. html and Co-Book Running Lead Manager at www.smccapitals. com, respectively. Investors should note that investments in equity shares involves a high degree of risk. For details, potential investors should refer to the RHP/Prospectus which may be filed with the Registrar of Companies, Gujarat, situated in Ahmedabad, in future, including the section titled 'Risk Factors'. Potential investors should not rely on the DRHP filed with the SEBI while making any investment decision.